Hook is constructed of high-strength, vinyl-dipped steel and has a 18″ wide opening mounted on a 1-1/4 inch O.D. 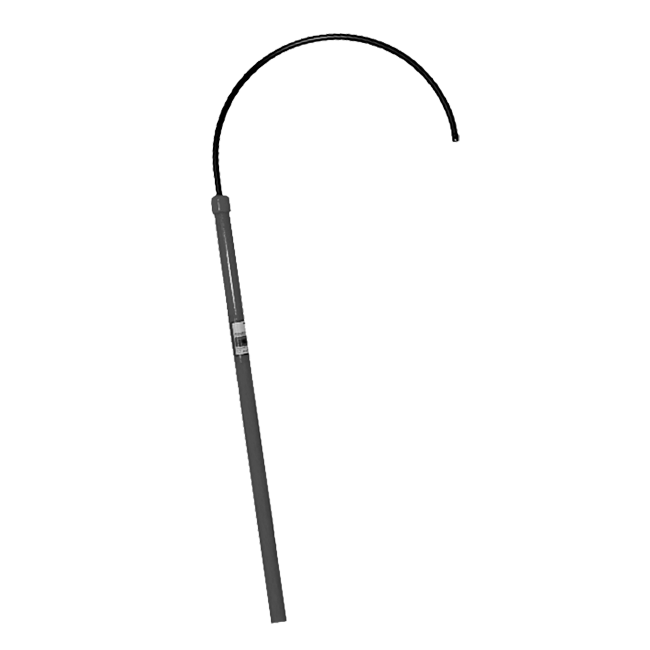 fiberglass pole available in either 6′ or 8′ length. Each body rescue hook stick is 100% electrically proof tested; must pass a test of 100kV/12″ for five minutes without detectable heating. Compliance: Meets ASTM F711 standard specifications. CPRH-8481 – 18″ (hook) x 6′ – 7.4 lbs. CPRH-8482* – 18″ (hook) x 8′ – 8.2 lbs. *The 8′ Body Rescue Hook Stick requires freight delivery via truck, it cannot be shipped via UPS.